This month we are focusing our 4-hour The Art of Macro photography workshop around the bizarre world of carnivorous plants. 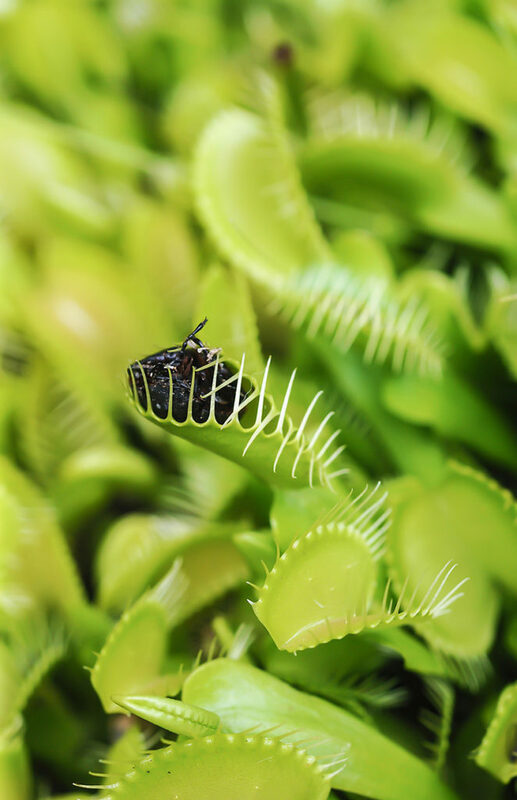 Carnivorous plants – think Venus Flytrap – can thrive in inhospitable environments by luring, trapping, killing and digesting insects. How do we capture this micro world of fascination? The emphasis of this workshop is on how to use your macro and close up lenses. Practicing on ‘Plants with Bite’ gain hands-on understanding of the importance of the power of light on entering the micro world. By altering depth of field discover the various levels of abstraction within a very small window of this micro world. You are in for a special afternoon of fun and learning with tutor Brent Willson. Brent is a professional photographer specialising in horticulture. Book in now for the 21st of October or 18th of November. Come tell the photographic story of the bizarre world of snap trap plants!